This month I think that two charts tell the 2017 story on their own, if you read between the lines. In an environment where more people are buying homes and condos than any time in the past 6 years, and simultaneously fewer people are offering their properties for sale, what would you expect to happen to prices? There are times we over-think the dynamics of the real estate market. Analysts are always looking to factors beyond basic supply and demand to explain market behaviour. Don’t get me wrong – the market is complex and there are plenty of factors influencing it. Various levels of Government directly and through banking policy artificially tinker with, or in recent years try to hammer, consumer behaviour. At the end of the day, whether prices, interest rates, or regulatory constraints are going up or down, tightening or loosening, people move to support their life goals. It can be harder or easier at times, and certainly there are periods when everything grinds to a halt. But those extremes are rare – certainly in Ottawa where the market has been very stable for 60 years – but even in Vancouver and Toronto where despite many short term swings, overall the story has been up, up, up for decades. Crazy low interest rates, long amortizations, and minimal down payment options have allowed more people to buy a home over the past 15 years. But people find a way even when the rules change. Home ownership rates in Canada have fluctuated between 64% and 68% since 1998. That’s right, through all the hype and paranoia, the variability is 4%. Reading media and analyst reports about Canada’s housing market, you’d think that everyone in the country owns 3 houses and in all other countries in the world, everyone lives on the beach. There really should be something to that. Take your Phuket beach-hut dwelling ex-pat surf-board rental shop-operating free spirit advocate against the big machine behind Canadian home ownership and move him to Kapuskasing. Or even the Toronto harbour front. Suggest he pitch a tent on the shore of Lake Ontario and see how long he lasts without thinking about home ownership. We’re motivated to own homes in Canada. We’ll gut it out and sacrifice in other areas to enjoy a little comfort after battling -30C on the way to and from work each day. Normal market cycle moving into a pent-up demand phase. 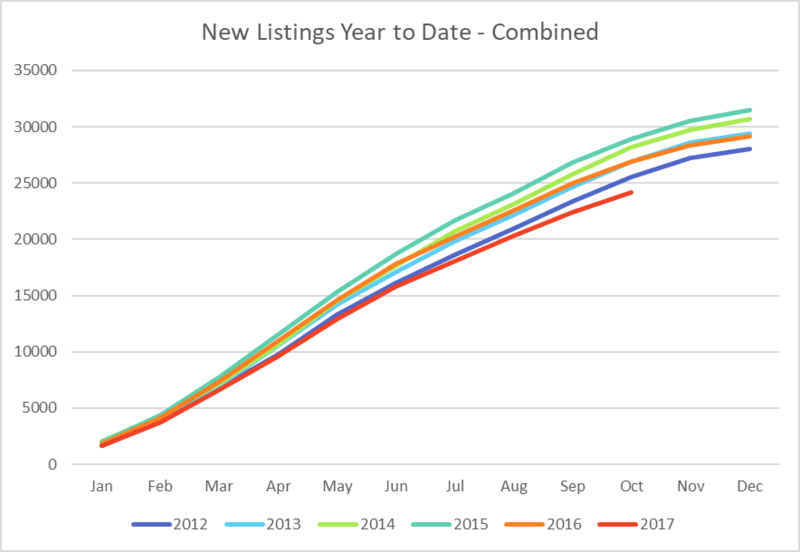 The Ottawa market went through one of its flattest spots from 2010 through 2015. In 2016 it started to swing upward. Remember that the federal government introduced one measure after another in an attempt to slow down the market through precisely the time frame that Ottawa’s market has been climbing again. Clearly demand is outweighing policy changes. 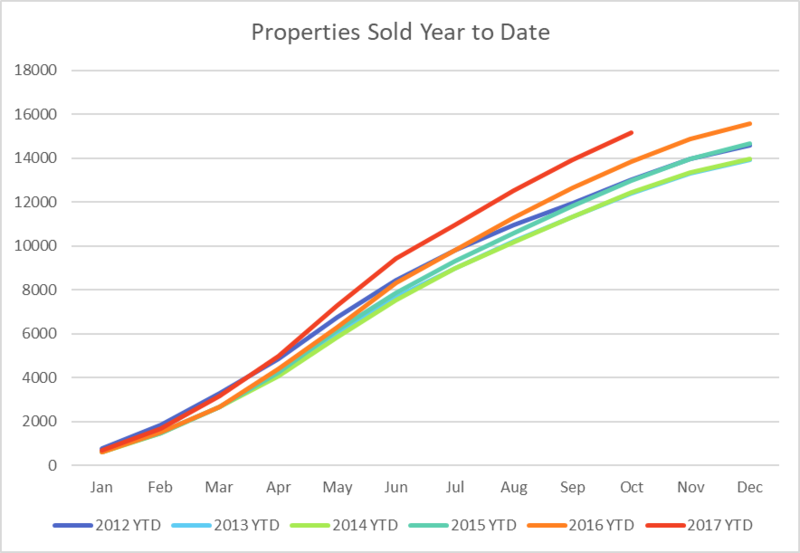 The climb in home and condo sales turned further upward beginning in June this year. It is possible that people are acting now because interest rates have started to rise. The Office of the Superintendent of Financial Institutions (OFSI) introduced new a mortgage approval requirement that comes into effect January 1, 2018. The new measure targets uninsured mortgages – in other words, buyers putting 20% or more down payment on their purchase. The measure subjects these buyers to the same approval standard that buyers with insured, high ratio mortgages have to meet. The rule was changed a year ago for those buyers with smaller down payments. The rule requires buyers to meet debt ratios based on an interest rate 2 points above the posted rate. It essentially “stress tests” the buyer at a higher rate than they will be paying, to future-proof their ability to pay as rates are expected to continue rising. Last year’s rule change should have stalled at least the first-time buyer market here in Ottawa, but the data shows otherwise. The new rule should make it much harder for move-up buyers because they will qualify for about 20% less than previously. Someone who bought their current home 5 to 7 years ago, and wants to move up, will only qualify for 80% of their previous purchase price target. That might take all of their target move-up homes at current prices right off the table. Will prices of those more expensive homes fall as a result? Or is the desire to move up strong enough to motivate people to pay down other debts, earn more, save less in other assets, or take other measures in their family budget to afford the move at current prices? We should see the answer to that question by mid-2018; and based on the Ottawa market’s response to the 2017 rule changes, either answer is possible.